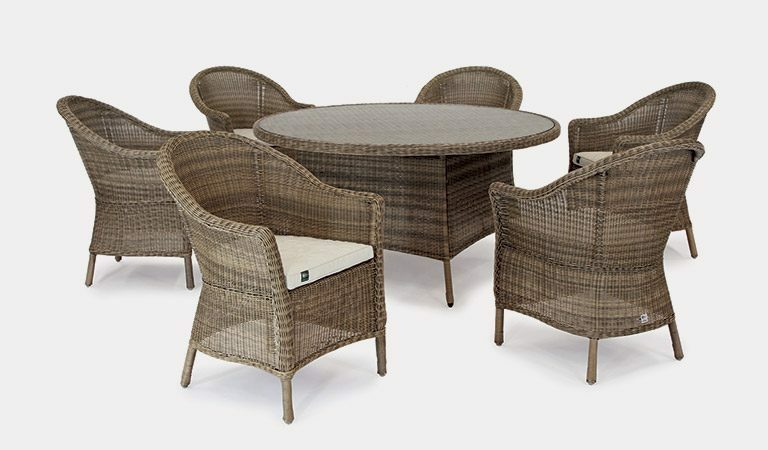 The Rosemoor Bistro Set includes the wooden garden table and chairs for two to dine outdoors. 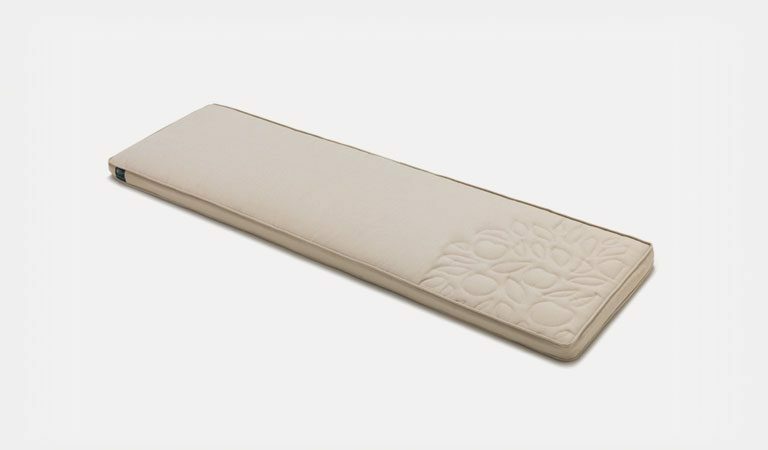 The tough acacia wood with sage PU coating fits into all traditional gardens. 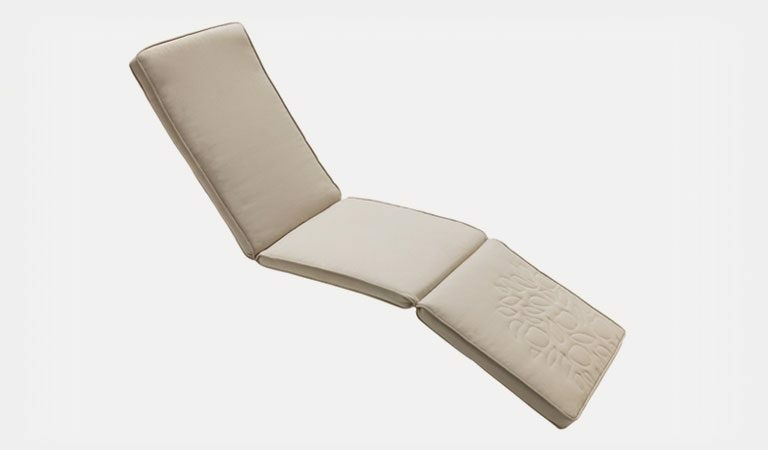 The chairs and table fold up for easy storage when not in use and share the same curved design on the legs. 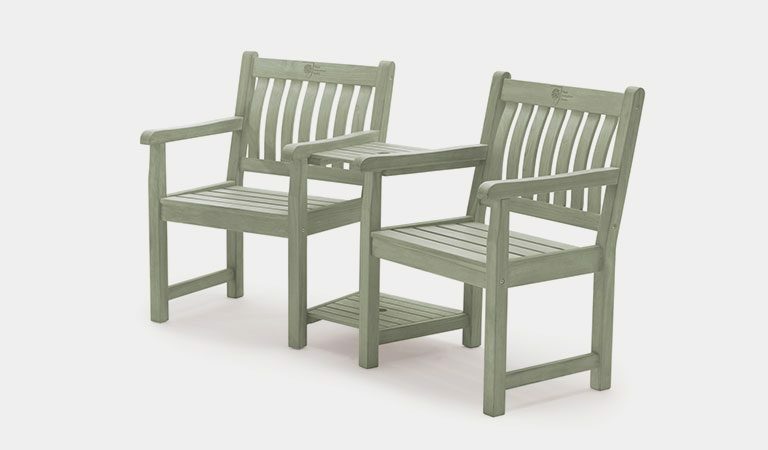 The tough, acacia wood garden furniture has a smooth finish with the sage PU coating. 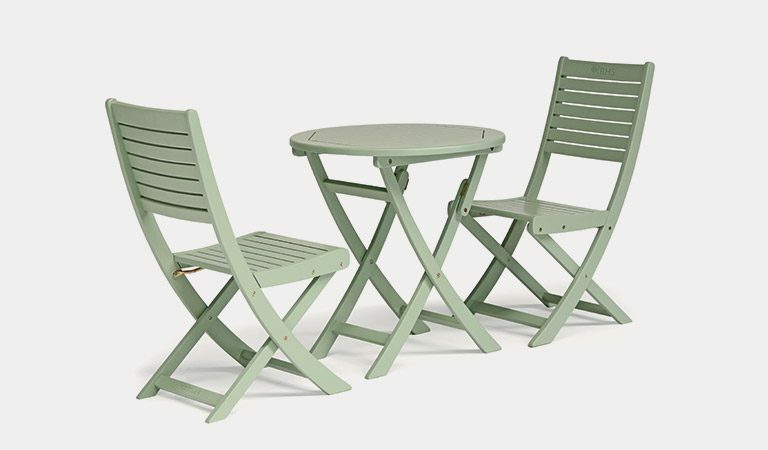 The Rosemoor Bistro Set is a perfect garden chair and table set for two to enjoy a romantic meal outdoors. 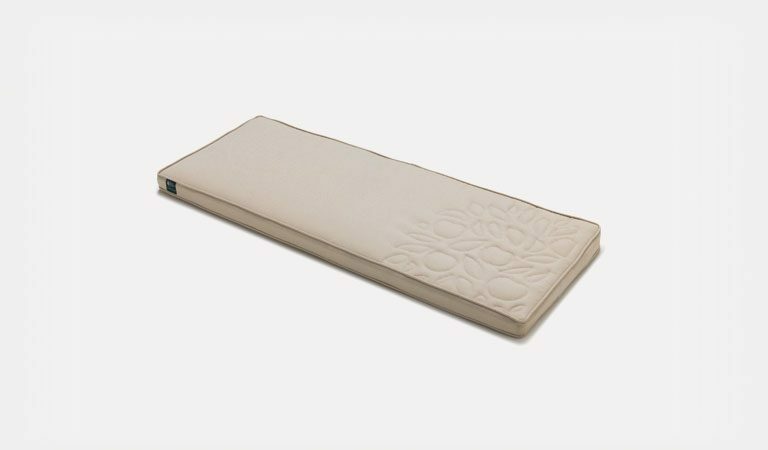 The acacia wood PU coating in sage is highly durable. 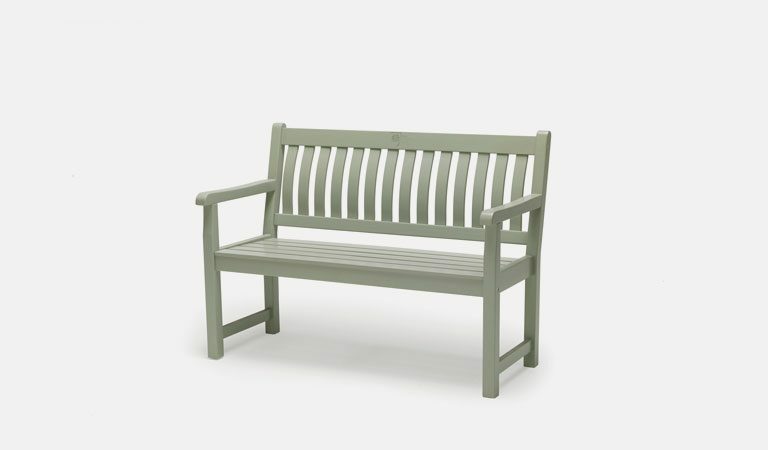 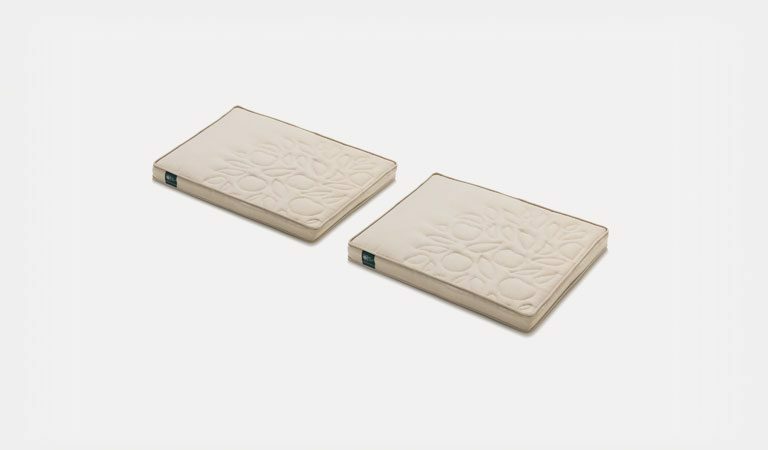 It protects the wood from wear and tear and gives the garden furniture a solid colour. 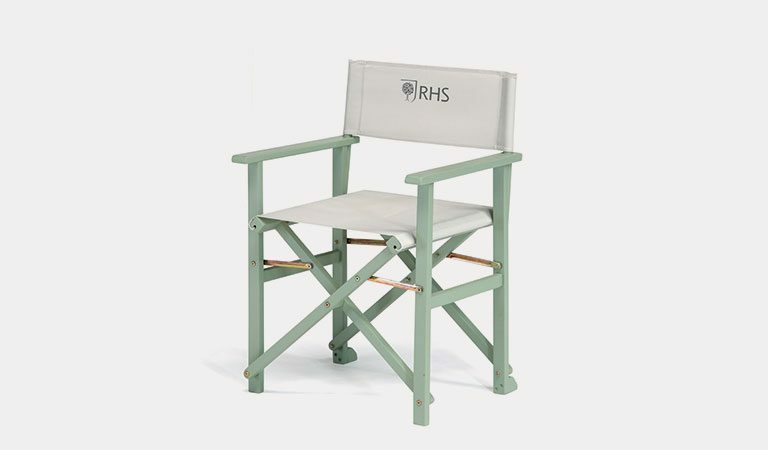 The RHS logo is etched into the wood at the top of the chair. 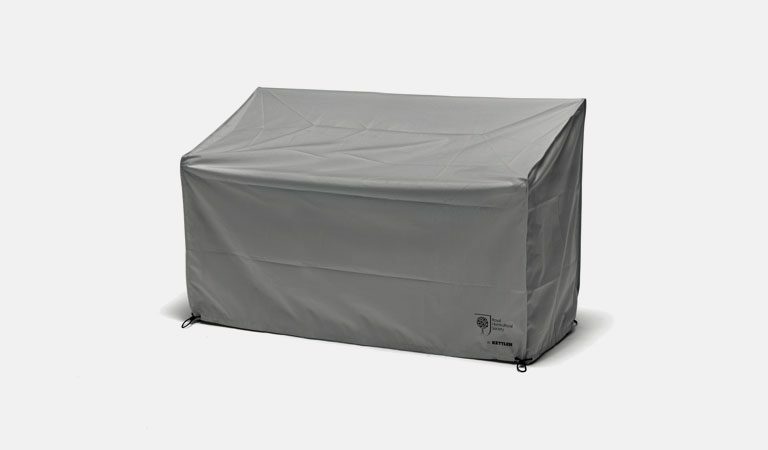 The folding frames store away easily when not in use and during the wet or winter months. 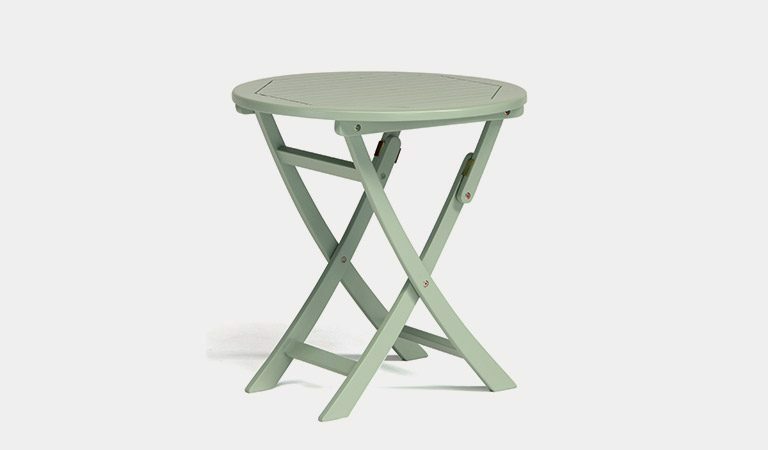 The bistro table has the same curved legs as the chairs for a unique design. 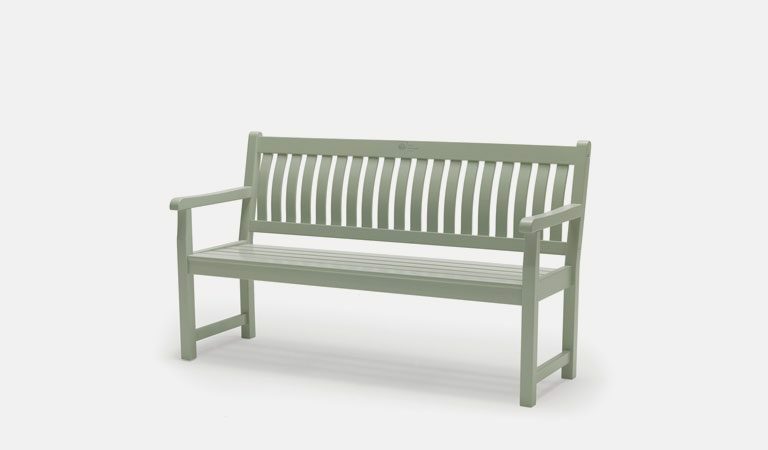 The Rosemoor outdoor furniture range includes two wooden benches and the steamer chair for lounging in the garden. 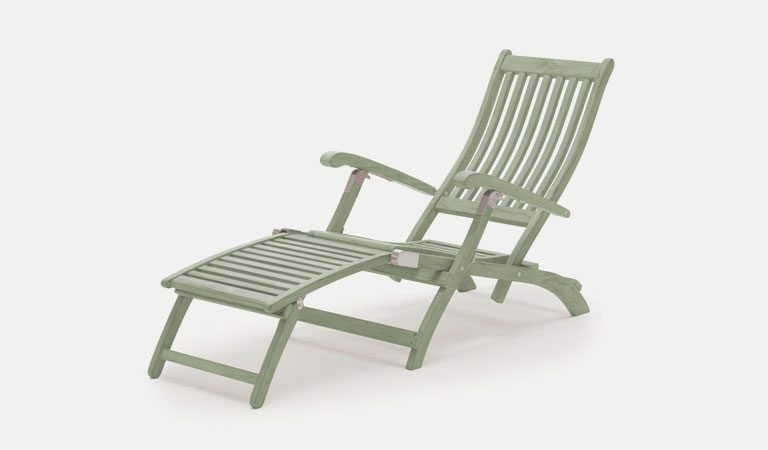 More than just garden furniture, the RHS by Kettler collection looks good in the garden. 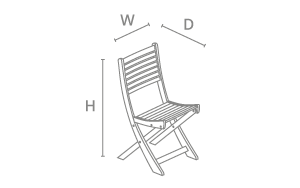 Set includes two chairs and matching table. 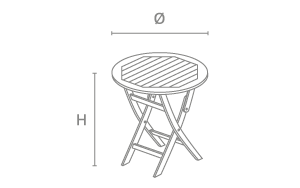 Chelsea teak oil acacia Bistro Set also available.